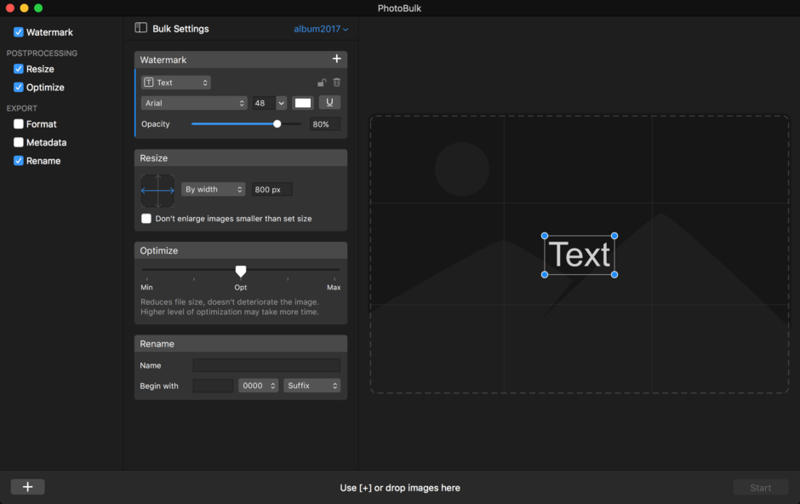 PhotoBulk is an image editor Mac OS X that offers an essential variety of bulk image editing features: it is a batch watermark Mac app, PNG and JPEG optimizer app, and batch resize Mac software. PhotoBulk also makes a perfect image converter and offers batch rename photos on Mac. 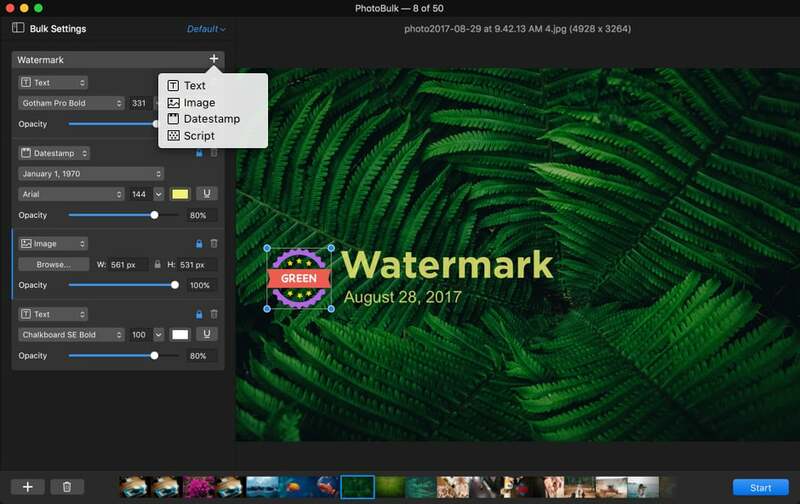 With the help of our image editing program for Mac you can apply text, image, script and date stamp watermark to ensure your works are protected. 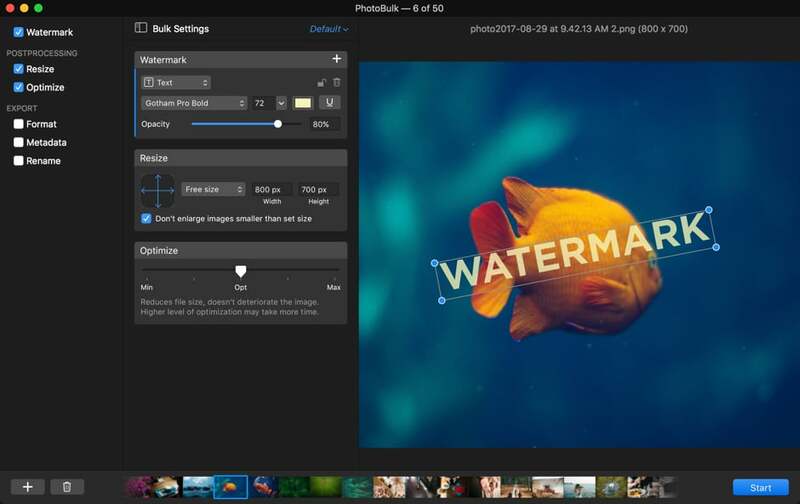 Watermarking with PhotoBulk is easy: drop your image or images onto the image editor, choose the type of watermark, customize the required settings and all done! Watermark can be positioned freely, can be of any size, and rotated till you achieve perfection. Set font, size, typeface, opacity, color, and angle. Add image watermark on Mac and customize it. Stamp your images with any chosen date. Add text watermark to your images to send a specific message. From now you can add several watermarks to a photo at once. 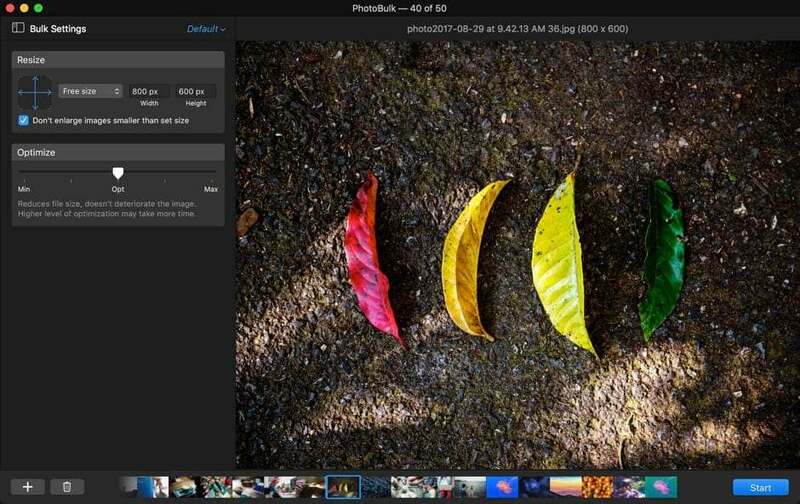 Our image editor Mac app helps you elevate your image protection. With PhotoBulk you can preview and edit watermark in real time and preview the images with added watermarks. PhotoBulk can dynamically reposition the text when you resize a multiline text watermark. You can even move part of your watermark over the boundaries of a photo when needed. 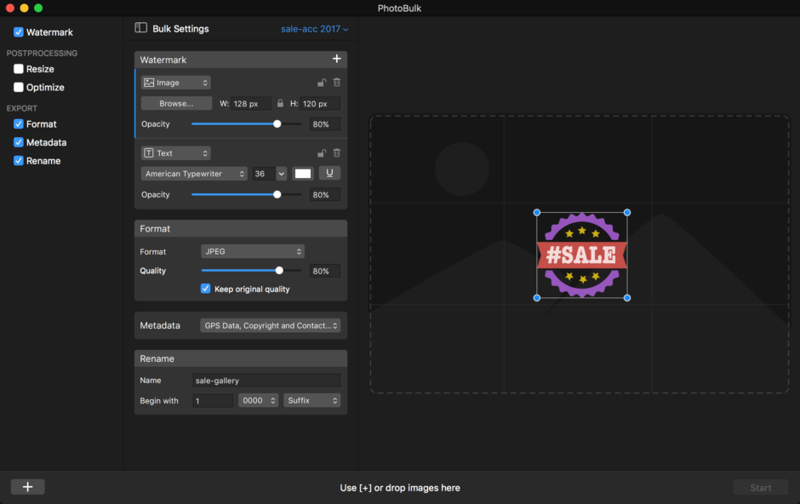 PhotoBulk is a great Mac image resizer that is very easy to use. You can change the width and height of many images at a time proportionally, by percentage, by maximum size or according to your custom dimensions. Every byte is valuable when you're sharing a large number of images online. Thanks to PhotoBulk you can compress many images in a click, however even though the image size is reduced, the original resolution, quality, and format are left intact. Converting hundreds of images to another format has never been so easy! Our image editor Mac OS X works with PNG, TIFF, GIF and JPEG files, and you can also convert HEIC files into other formats on macOS 10.13. 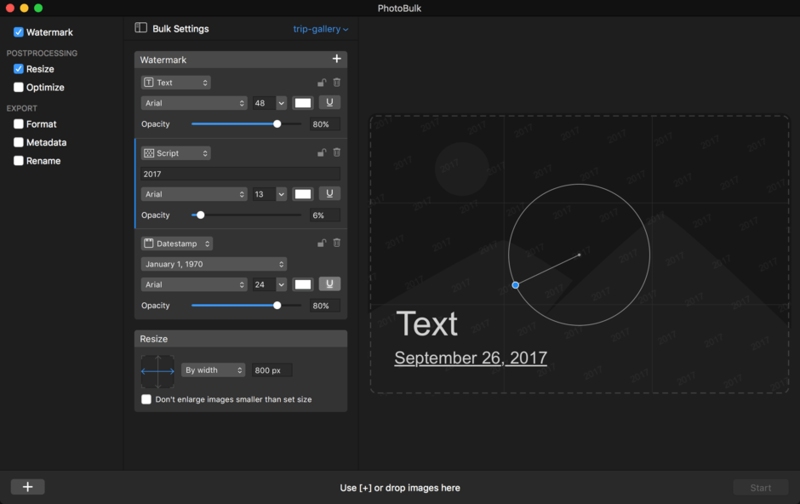 A high-demand feature is included in the latest version of PhotoBulk: you can select which of the metadata you want to be included in the resulting images. You don't have to be guessing what those images contain anymore - rename many images at a time according to their contents, so that navigating to the ones you are about to share is a breeze. Batch rename photos on Mac takes a few clicks and you can add a desired number of digits to photo names too. Keep the original files if needed. Use PhotoBulk as a designer for creating and preparing presets for batch image editing. Save your favorite and most used settings for even faster bulk photo editing on Mac. This Image Editor for Mac is fully compatible with macOS 10.10 and later. Requires 9.73MB free space, latest version 2.1.246. Released 7th Feb, 2018.